As a flight attendant, flight monitoring is my life. Gate changes? Delays? Weather? All of this is pretty important to our lives and livelihood. Our company is kind enough to issue us apps and programs to monitor this, but none of them give you notifications. If you are curious about any of that information, you need to go back into the app and double check it. That is where FlightTrack shines! Once you enter in your flights, you are set! It calculates your layovers, your gate changes, and delays and notifies you if any of these things change. It has made my job a lot easier and the notifications are practically in real time. 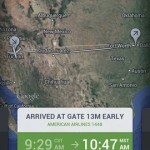 I have even used the app to help my passengers figure out if there are gate changes or delays if they are connecting gates. So, do I like FlightTrack? Absolutely! Is it perfect? Nope! Read on for my full review. Lets be positive and start with what FlightTrack does right. 1. Multiple User Support: The new version of FlightTrack supports multiple users. This is the main reason I bought the new app (more on this in the cons). 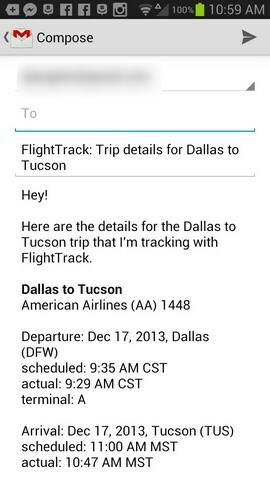 My girlfriend is a flight attendant as well, and without flightTrack, it would be difficult to track her flights. Our company issued apps only work for our schedules, not others, so this is an invaluable tool. At the beginning of the month I am able to take both of our schedules and program them into our phones and view our schedules separately. This is something that the original FlightTrack did not have. I could put all of our flights in it but it was a jumbled mess. Now I can easily see my flights and her flights. 2. Easy mass delete: Another problem I had with the original FlightTrack app was that after the flights were done, removing them from the tracker required me to select each flight individually and then select delete. With a left or right swipe, I can now remove entire itineraries from the tracker (and with an automatic undo option, I can undo it if it was an accidental swipe). This makes for a much easier interface and allows quick cleanup. 3. Beautiful Layout: The old app worked great, and was easy to read, but it was not what I would call particularly pretty. The new app looks amazing, with an easy to manage interface, you can quickly get around it, and easily manage it. When they say they built it from the ground up, they weren’t kidding. The two apps look nothing alike, and even though the same core functionality is there. 4. Complete View: This is a bit silly, but I think its pretty cool. 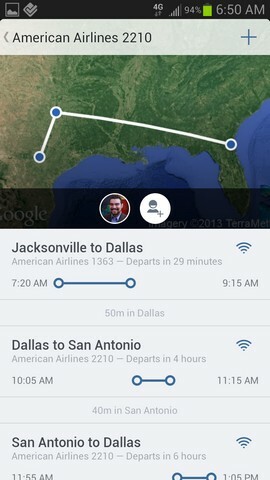 When you load an itinerary into the system it shows you a map with all the points you will be flying on it. As a flight attendant it looks so cool when you load an entire months worth of flights on it, and it makes for a cool Instagram screenshot/post. 5. 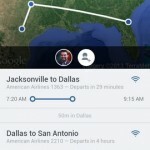 Ability to share Itineraries from FlightTrack to FlightTrack: While this does not work cross platform, if you are sharing itineraries from iOS to iOS or Android to Android, you are able to do so using Airdrop or Android beam. I spoke to a representative of Mobiata, and they are hoping for the feature in the future. 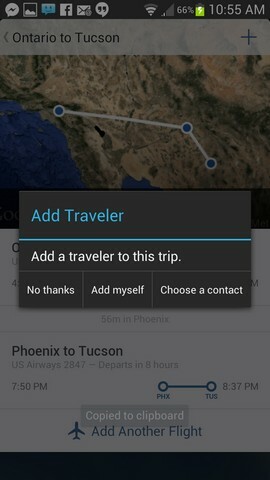 In the meantime, there is a built in share feature that allows you to send a nicely laid out text version of the itinerary to friends or family through any text sharing options such as email, text, or evernote. Its a handy tool, and I have already used it more than once to get my flights out to my family. Ok, so on to the negative. 1. Buy it twice: If you are like me, you bought the original app, this is pretty annoying. I personally bought it during the Google sales campaign for $.10, so it was practically a steal for me (and it helps explain why they wanted to build it as a separate app, they probably did not make much money with that version). And I suppose I was spoiled. But others that purchased it before or after the sale are out of luck. To get the new app, you need to pay the $4.99. Most companies would have simply updated the old app to the new so that pre-existing customers don’t get burned. It comes across a little greedy, and I feel that it tarnishes Mobiata’s image. But, to be fair, here are a few things to keep in mind. A. 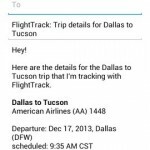 If you are a new customer to FlightTrack, this does not matter. B. The app is well worth the $5. If you are a flight attendant, you are probably not making much money, so it’s difficult to justify the expense, but if you are a mobile professional, the $5 is a great deal for what you get. 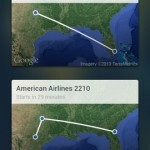 If you are flying so much you need to track them with FlightTrack, this is spare change. 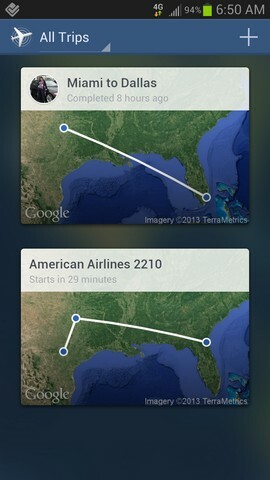 C. The original FlightTrack app works fine, and the only real reason to buy the upgrade is if you are tracking multiple people’s flights. That is the reason I purchased the app. Otherwise, if it was just me, I would have stayed with the original app. They are still updating the app, and as of this post, they had updated the original app on Nov 13, 2013 to support kitkat. They have not abandoned the app, and they have removed it from the store so that you can’t accidentally buy the old one. That shows me that they are committed to their clients. So again, while it seems a bit unfair to older customers that they have to repurchase the app, keep in mind if you bought it for $.10, you practically got it free, and if you paid full price, ask yourself if you really need the new features. 2. Connecting flights: I had trouble finding flights that had connecting flights. For example if I want to fly from ONT to TUS, I would have to know that I need to fly through PHX, it doesn’t automatically figure that out for you. Per Mobiata, there are simply too any variables for this feature and they have no way of knowing what flight you are looking for. For now I use their Expedia app to find this information. 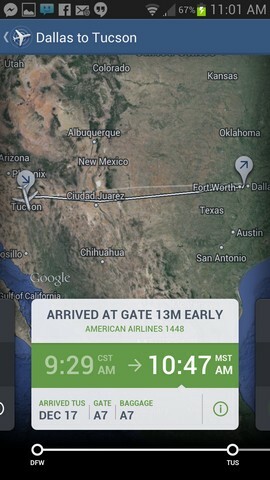 FlightTrack 5 is a highly polished tool that is well worth the $5 investment. If you are looking for a way to monitor your flights, and you are like me and practically live in an airplane, it is a great investment. The Pros outweigh the Cons, and every time I show someone the app, they ask me how to get it, and if it’s worth the price and I always say ABSOLUTELY. It will make your flights less stressful and enjoyable, and it’s one less thing you need to worry about.